It took twelve years to find the killer. In that time, Sarah rebuilt her life amid abandonment, police interrogations, and the exacting toll of trauma. She dreamed of a trial, but when the day came, it brought no closure. It was not her mother’s death she wanted to understand, but her life. She began her own investigation, one that drew her back to Maine, deep into the darkness of a small American town. 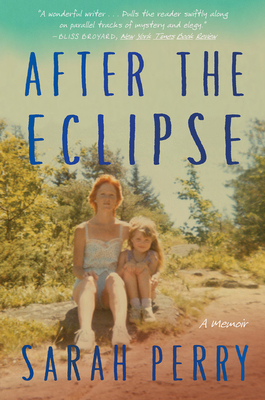 A memoir of “unerring power and hard-won wisdom” and a “tender elegy”* for a mother lost, with After the Eclipse “Perry succeeds in restoring her mother’s humanity and her own” (New York Times Book Review).